BB Creams ~ Just for the Young? 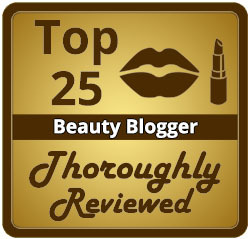 You are here: Home › Make-Up Product Reviews › BB Creams ~ Just for the Young? ← OOTD ~ Holy Sweater! It’s hard to have missed the arrival of BB Creams over the last couple years… it seems every cosmetics company has come out with one lately. I had tried a drugstore brand (L’Oreal Youth Code) last year and did not like it at all. It provided little to no coverage, but yet made my face break out! I had decided they just weren’t for me. But recently I saw them popping up at all the high-end makeup counters and thought they must be better than the drugstore offerings, so I decided to give them a 2nd chance. I won’t go into each one here, but I would like to give you my opinion on the group as a whole. Sadly, I didn’t really like any of them, and as usual they didn’t live up to their marketing claims. I get really frustrated with the huge variety of products at the makeup counter that say they’re going to cover pores, smooth wrinkles, improve skin-tone, and wear all day… and then don’t. And, it’s not like these products are cheap either. The seven I tried ranged in price from $32 to $64 for under 2 ounces of cream. So, I’m quickly becoming disenchanted with makeup companies that market products directly to “mature” consumers, but their ads feature either young models with perfect skin or airbrushed older models. I wish they’d take half the budget they put toward marketing/advertising and put more into product development and testing to come up with something that actually does make not-so-perfect skin look better. To answer my own question… are BB creams just for the young? Hard to say, since I can’t possibly test every product out there, and all old people don’t have the same skin or issues either. 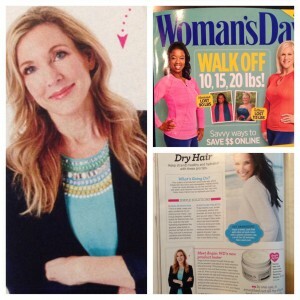 I know some women in my age group who use and love BB cream! But for me, after trying seven with disappointing results, I’m off BB creams… for now. Besides, I hear the CC cream product launches are just weeks away!! One Response to "BB Creams ~ Just for the Young?" Just for the Young? hotandflashy50.com < Liked it!